Massachusetts has thousands of elevators and escalators in public and private buildings. These machines are required to be inspected for safety, and several state regulations govern their design and maintenance. Despite these safeguards, each year hundreds of people are injured on defectively designed, inadequately inspected, or poorly maintained elevators and escalators. Some accidents result in wrongful deaths. The attorneys at Breakstone, White & Gluck, P.C., have over 100 years combined experience handling catastrophic personal injury and wrongful death cases, including cases occurring on escalators and elevators throughout Massachusetts. If you or a loved one has been injured, learn your rights. For a free legal consultation, contact Breakstone, White & Gluck at 800-379-1244 or 617-723-7676 or use our contact form. Child Killed on Mall Escalator. A 4-year-old child died after falling from a second-floor escalator at the Auburn Mall in March 2011. There was an opening between the plexiglass and the escalator and the boy was pulled through by the escalator guardrail. He fell 18 feet onto a display case, according to the Telegram & Gazette of Worcester. The boy died the next day and his parents filed a negligence lawsuit against several parties, including the mall owner, the escalator manufacturer and the department store where the accident took place. Woman Killed By MBTA Escalator. In 2009, an 82-year-old woman was found trapped with her clothing caught on a moving escalator at the State Street MBTA Station, according to The Boston Globe. When she was discovered by a passerby, the escalator was shut off and her clothes were cut free. But it was too late. The woman was later pronounced dead at Massachusetts General Hospital. The state medical examiner determined the cause of death was asphyxia by strangulation. 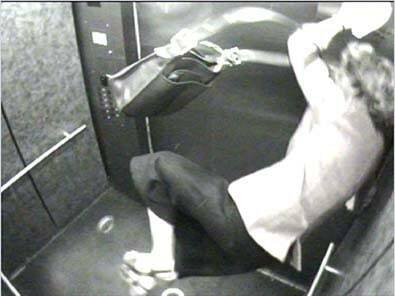 Red Sox Elevator Injury. A 22-year-old woman suffered a traumatic brain injury and facial and spinal fractures when she fell more than 20 feet down an elevator shaft at Fenway Park in May 2014, according to The Boston Globe. Later that year, her family filed a civil complaint against Fenway Sports Group and Otis Elevator Company, stating the elevator door was inadequately installed and improperly maintained. The lawsuit stated she had incurred over $250,000 in medical expenses and there would be future expenses. She also suffered lost income and was left with a diminished working capacity. Loose or missing parts, such as the metal teeth known as "comb plates"
Unfortunately, many escalator accidents involve young children, who are attracted to the moving parts on the escalator, but are too young to appreciate the dangers of the machine. Children are also more frequently victims inside entrapment cases, since they stand closer to the side panels when trying to hold onto the railing. Their shoes or body parts can get caught in the moving parts (Note to parents: Have your small child hold your hand, not the railing). Elevator accidents can be extremely complex due to the complicated design of the moving parts as well as the complex electronic controls. Of course, the most important thing to do after an accident is to seek immediate medical care for any injuries. The owner of the property should be immediately notified of the incident. The incident should be reported to the Department of Public Safety (DPS). The Massachusetts Emergency Management Agency has a hot-line for elevator and escalator accidents and will coordinate the reporting to the DPS. The number is 508-820-1444. It is important to promptly hire a qualified and experienced elevator and escalator accident attorney. Your attorney will undertake a prompt factual investigation, identify and contact witnesses, preserve essential evidence, and make claims and notify insurance companies. The lawyers at Breakstone, White & Gluck have over 100 years combined experience handling complex personal injury and wrongful death cases, including complex escalator and elevator accident cases. Our firm has the experience, the knowledge and the resources to best handle any elevator or escalator accident case resulting in personal injury or wrongful death. Initial consultation with our firm is always free, and our cases are handled on a contingent fee basis. Please call our toll free number at 800-379-1244, or use our contact form. We look forward to representing you on your case.